Civil society, a ray of hope for genuine public engagement, was once burgeoning but now seldom wades into dangerous political waters. Many commentators say the turning point came with the forced disappearance of Sombath Somphone, a prominent civil society actor, in 2012. Next month marks Lao Prime Minister Thongloun Sisoulith’s second year in power, a role few Communist Party apparatchiks have grasped with so much aplomb. The ex-foreign affairs minister has cut an almost progressive profile, at least by Lao standards, in his battles against corruption, pollution and Party extravagance. Now, it appears he wants to make the hermetic Lao People’s Revolutionary Party more transparent, too. At a conference in Vientiane in February, Thongloun laid out a new policy known as the “three opens” that promises to move the traditionally hermetic country in a new direction. Thongloun’s first “open” is to make the Party more assessable to ordinary citizens, part of the policy’s professed new “open door.” How this new openness will be achieved, however, has yet to be announced. An “open mind”, meanwhile, represents a new promise that the Party will listen more to the private sector, a constituency it has routinely ignored in the past. Most importantly, perhaps, the policy’s “open barriers” appears to be a reference to Laos’ desire to attract more foreign investment from countries other than China and Vietnam, its traditional benefactors. Reliance on Chinese aid and investment has spiked in recent years. Whether Thongloun is able to translate these slogans into liberalizing policies is yet to be seen. One Lao analyst who requested anonymity says Thongloun’s administration has learned from previous governments which were tainted by egregious corruption and administrative blunders. “It does appear that Lao people are generally happy about the direction that he is moving the country. He seems committed to positive change,” says Ian Baird, a Laos expert at the University of Wisconsin-Madison in the United States. Last year, for example, Thongloun banned new banana plantations, chiefly Chinese-invested ventures, over concerns about the safety of using certain pesticides. His administration has also restricted concessions for new mining operations, another source of public concern due to environmental impacts. In February 2017, Thongloun oversaw the public auction of luxury vehicles used previously by Party leaders, including his own state-provided BMW that sold for US$160,000, in a move designed to redirect the Party’s reputation for extravagance. A month earlier, his administration worked with Thai officials to take down Xaysana Keopimpha, a Lao drug baron who had been seen as untouchable because of his top level political connections, including allegedly to previous premier Thongsing Thammavong. Thongloun has also announced a ban on the export of timber, a major contributor to Laos’ severe deforestation. Following through on threats to punish politicians who engaged in the trade, Thongloun has dismissed two provincial governors – one from Attapeu, the other from Xieng Khouang provinces – for profiteering from illegal timber exports. Such high-profile sackings for actual crimes were rare in the past. While Thongloun can point to a number of achievements, they haven’t translated easily into quantifiable results. Nor have they enlivened all Lao citizens to the idea that the Party is necessarily on a path to better and more open governance. Transparency International’s latest corruption perceptions index ranked Laos 135th out of 180 countries, a downgrade of 12 places from the previous year’s survey. A recent report by Radio Free Asia asserted that the government lost US$50 million in revenue due to corruption last year, three times the amount recorded in 2016. The figures are likely significant underestimates, independent analysts say. One suggestion is that corruption is getting worse precisely because of the government’s attempts to curb it. The logic follows that state-owned firms, junior politicians and even public service workers like doctors and teachers are now pocketing more money with the knowledge that it might become more difficult to do so in the future. Others sources, however, say corruption is worsening simply because of low wages and a rocketing cost of living, two factors that explain why more Lao citizens are becoming more disillusioned with the Party. Thongloun has notably failed to address these more structural economic problems. His government is still fumbling over whether to introduce another minimum wage increase, a decision it must make by May. Some analysts reckon that hesitance is because the business lobby now has the government’s ear. The economy has boasted an average growth rate of 7.8% over the last decade but wealth inequality is also rapidly increasing – a gap Party officials have failed to publicly address or meaningfully remedy. On average, Lao citizens still die nine years earlier than their wealthier Vietnamese neighbors and two years younger than people in Timor Leste, Southeast Asia’s poorest nation behind Laos. Most international and domestic economists say the government must curb spending if it is to manage its high and rising public debt, which stood at 68% of GDP in 2016 and is potentially higher now in sight of a widening budget deficit. This all raises questions about Thongloun’s claim to be moving towards more openness. Civil society, a ray of hope for genuine public engagement, was once burgeoning but now seldom wades into dangerous political waters. 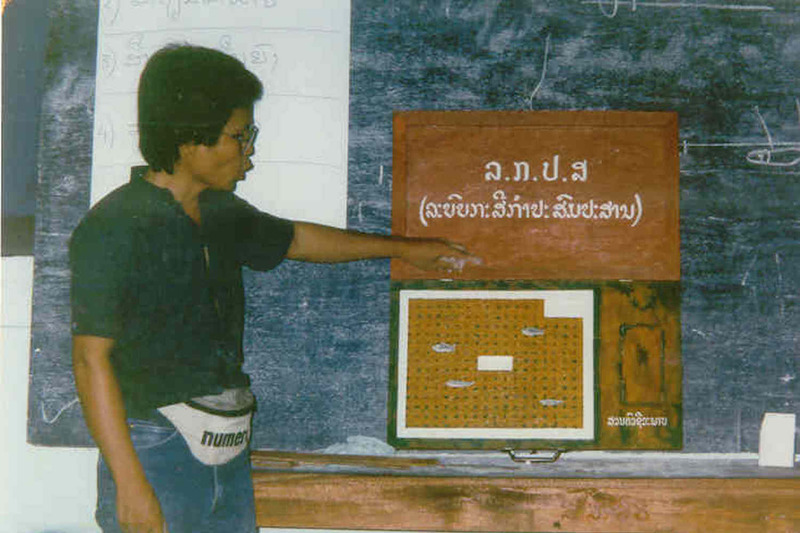 Many commentators say the turning point came with the forced disappearance of Sombath Somphone, a prominent civil society actor, in 2012. An official investigation into his abduction caught on CCTV camera footage absolved the government of all responsibility, a claim few independent observers believe. A new decree that came into effect in November could now financially decimate civil society organizations, which have long been considered a threat by the Party. Under the new decree, all civil society organizations’ funding must receive government approval, including money received from foreign donors. The decree also made it the “duty” of civil society groups to follow Party policy. But the Party’s legitimacy is clearly slipping as citizens now question, including over social media, why they should continue to put up with strict authoritarian rule. This may explain why Thongloun wants to give the appearance of greater transparency through his “three opens” gambit. Indeed, whatever comes of Thongloun’s “open door” pledge few expect it to be anything other than transparency on the Party’s own terms and conditions. At best, it might allow Lao citizens a closer peek through the tinted windows of power but the entrance will likely still remain firmly shut to outside scrutiny or participation.